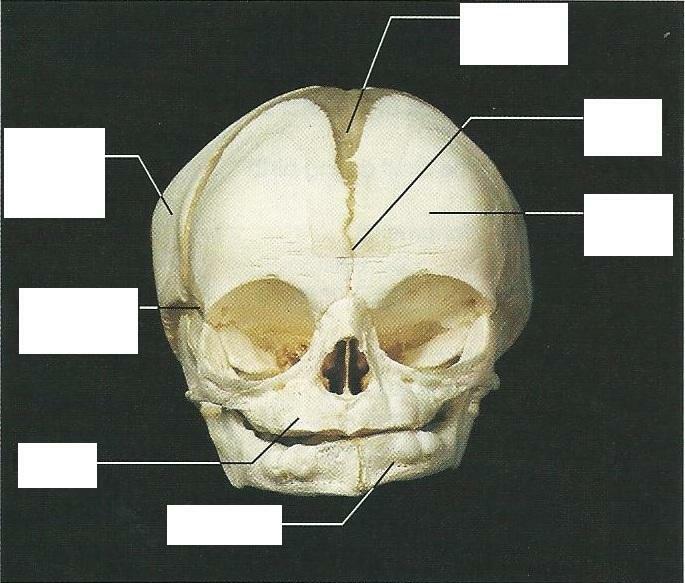 Are the same skull bones seen in the adult also found in the fetal skull? No, some areas still remain to be converted to bone. How does the size of the fetal face compare to its cranium? 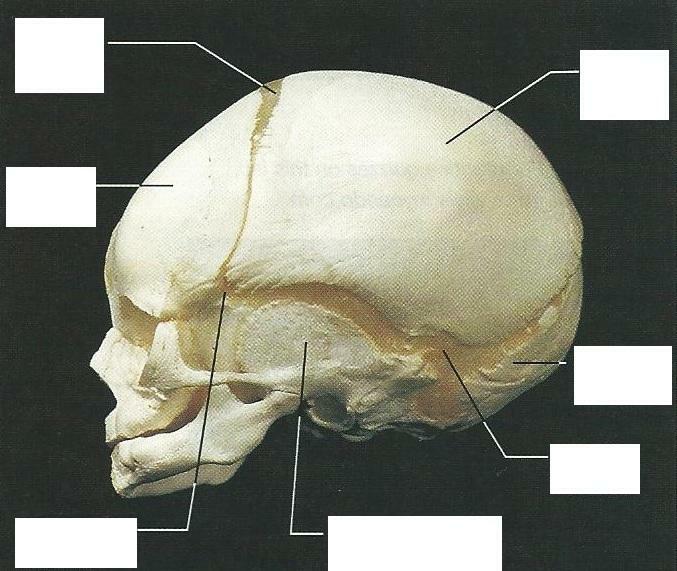 How does this compare to the adult skull? 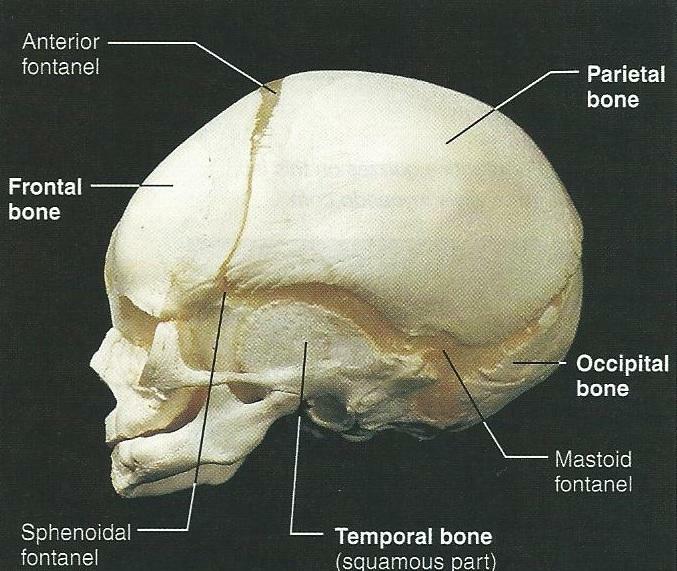 What are the outward conical projections on some of the fetal cranial bones? 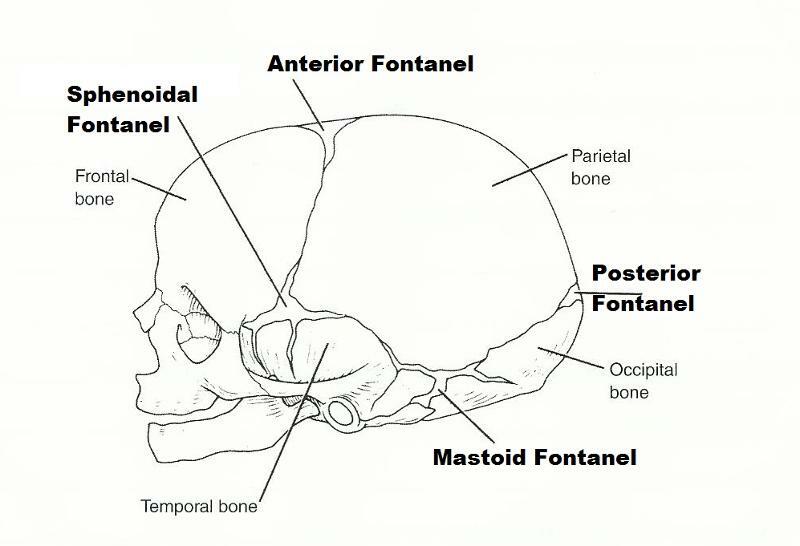 What is the function of the fontanels in the fetal skull? 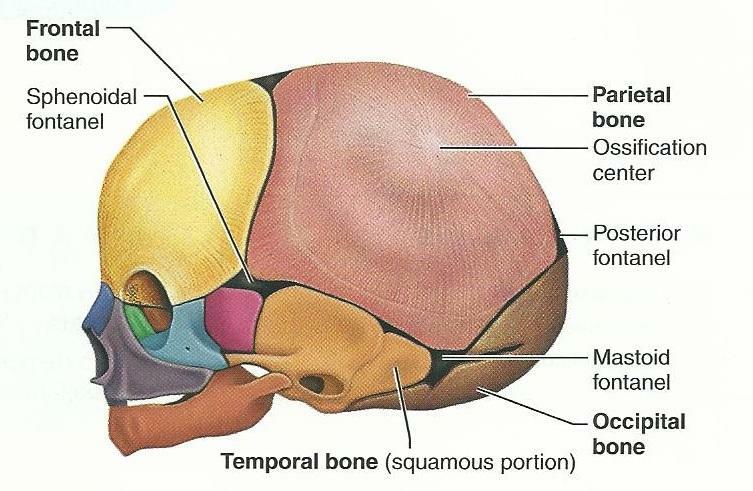 Allows skull to be compressed during birth and allows for brain growth during late fetal life. 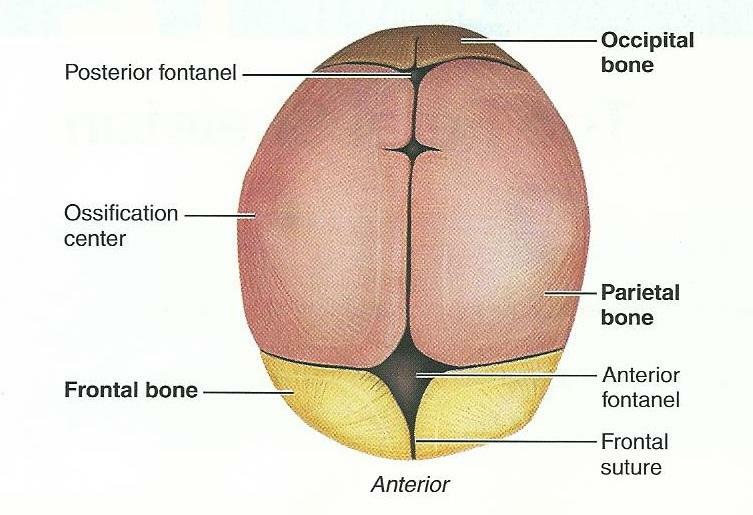 In the adult skeleton the coxal bones have fused (ischium, pubic, and ilium), while in the fetal skeleton these bones have not fused. 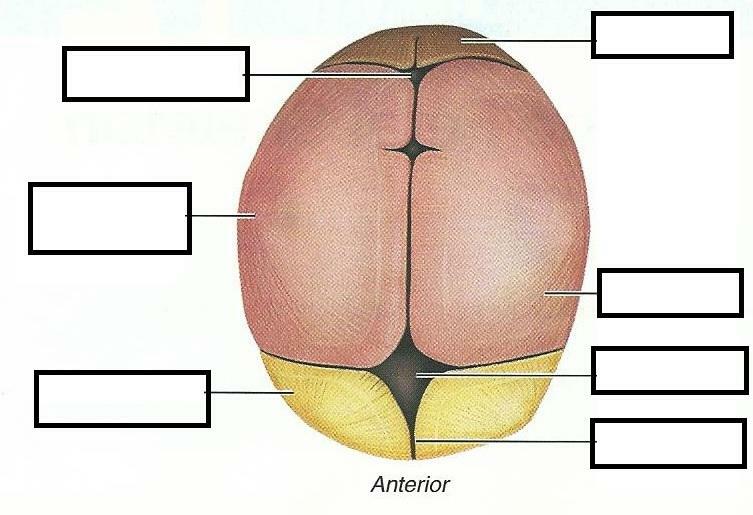 The carpals and tarsals are not ossified in the fetus. Its component parts are not fused in the fetus. 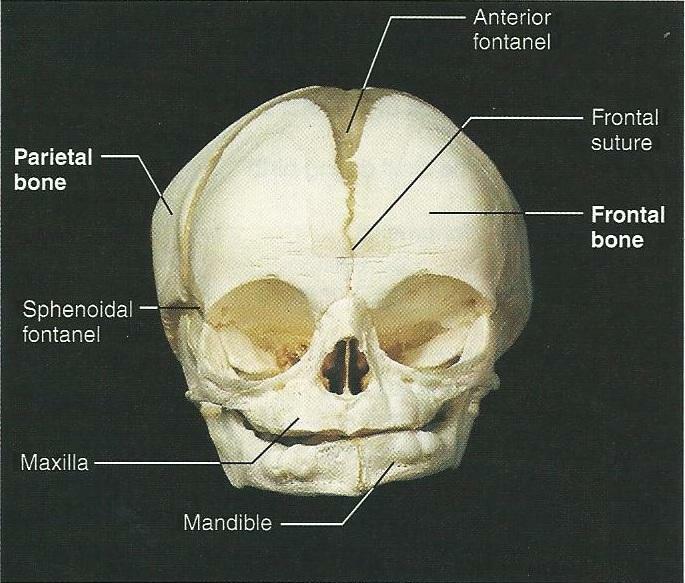 The frontal bone is split at the midsaggital line at the metopic suture. 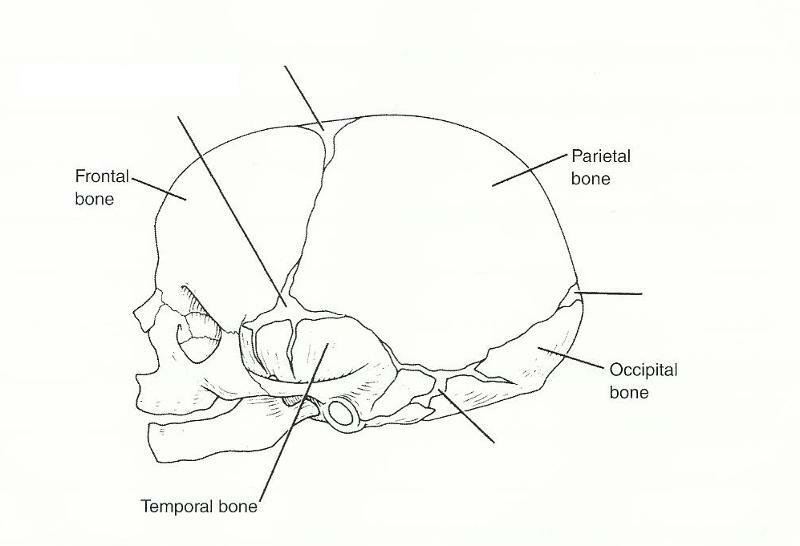 In adults, the suture closes, creating a solid bone. May be absent in the fetus; if present it is unossified. Quite a bit softer and smaller in the fetus. The kneecap develops throughout childhood and into mid-teens. 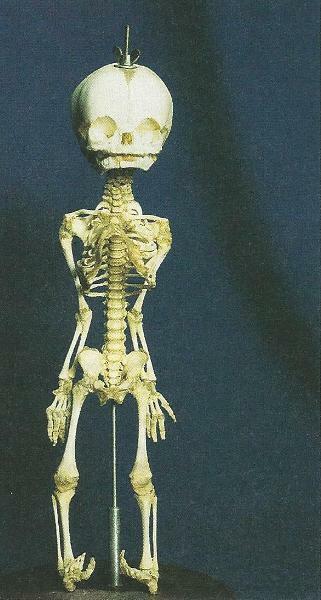 In a fetus the rib cage is compressed laterally froming a pointed anterior rib cage surface. 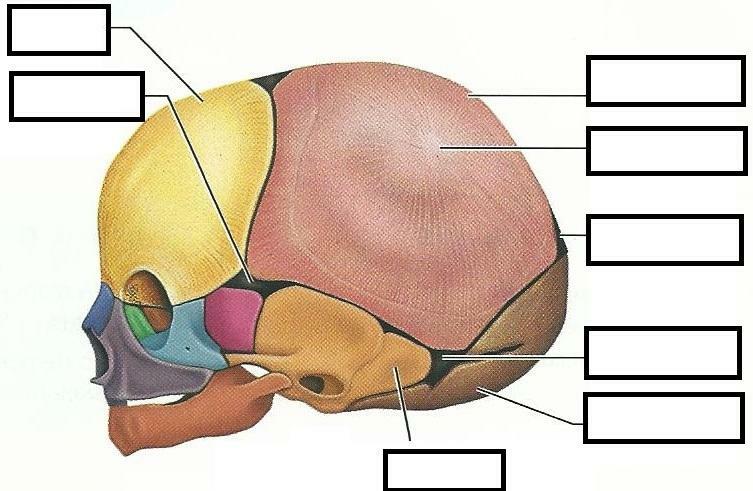 How does the size of the fetus's head compare to the size of its body? it is much larger leaving the body look too small; than if you compare an adult head to its body it seems to have better proportion.